When working with Scott Haile & Co, our clients, from CEOs to HR professionals to the workforce, feel a significant impact with our partnership. They are more prepared, more confident, and feel the effect of our remedies in a way not previously experienced. We understand employee benefits exceptionally well, but more importantly, we understand how they fit into the overall operations of a well-run and growing organization. Without great benefits and effective management of the human resource program, you can’t attract and keep great employees, which is what helps you build an organization with committing to. Employers of choice provide a comprehensive employee benefits package to attract and retain employees. 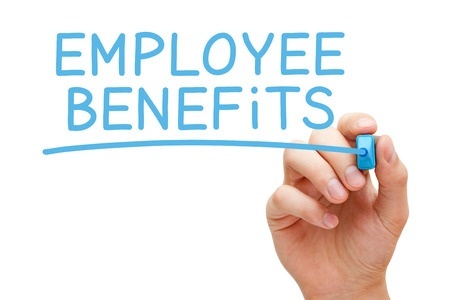 In addition to a competitive salary, an employee benefits package is a standard – and expected – part of an employee total compensation package. Businesses that are growing and expanding need to plan a careful phase-in of employee benefits so that as you grow, you continue to attract and retain the talent you need for further growth and expansion. Employers can expand this employee benefits package, as resources allow. Investigate/survey Employee Benefit marketplace product options for all benefit coverages. This will produce the most competitive menu of products. Provide alternatives to funding methods, which minimize premium cost. Oversee and coordinate Open Enrollment Meetings at all locations prior to the renewal period. At which time a thorough review of all benefits will be given. Coordinate and resolve any billing discrepancies with insurance companies. Provide a comprehensive review of the process to streamline plan management and maximize time efficiency. Supply advisory support when requested relating to the benefit plans criteria. Act as support partner to the HR team. Provide timely responses to requests and status updates until completed.